November is Lung Cancer Awareness Month. It is a time to come together and raise awareness about lung cancer — the second most common cancer in the U.S. and the deadliest cancer in the nation. 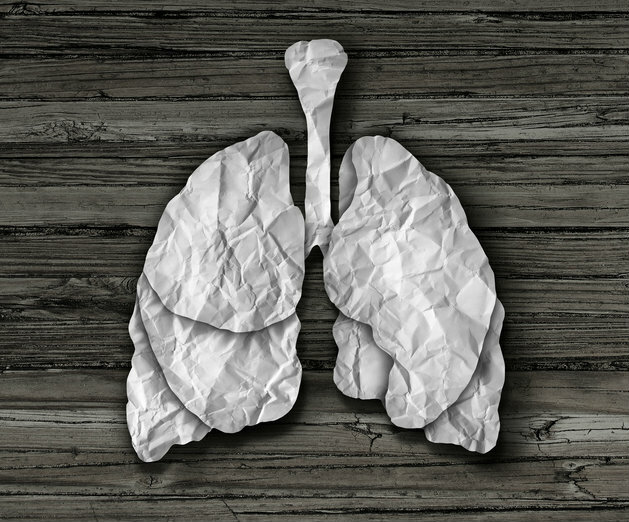 Although mesothelioma is not a type of lung cancer, the two diseases share many similarities, including symptoms, diagnostic procedures and standards of treatment. Lung Cancer Awareness Month presents a great opportunity for members of the mesothelioma community — survivors, caregivers and health care professionals — to join forces and get involved. Raising awareness and money for lung cancer research can directly impact future mesothelioma research and treatments, such as immunotherapy. Getting involved is easy. You can sign up for future expos and conferences or participate in various local events. You can also sign the online petition started by the Asbestos Disease Awareness Organization, asking the Environmental Protection Agency to ban asbestos use in the U.S. without loopholes or exceptions. Asbestos exposure accounts for nearly all cases of mesothelioma and an estimated 6,000 cases of asbestos-related lung cancer in the U.S. each year. Health care providers across the country will host an anticipated 200 Shine A Light events as part of Lung Cancer Awareness Month. These events bring together those living with lung cancer, their families and health care teams at hospitals throughout the nation. Shine A Light events honor all those affected by lung cancer and features speakers who share updates on treatment options, clinical trials and support programs. Lung cancer survivors and caregivers are welcome to ask questions and provide feedback to these local experts. Visit the Lung Cancer Alliance’s official Shine A Light page to find events in your area. The American Lung Association’s LUNG FORCE expos are a great opportunity for cancer survivors to learn more about the latest trends, resources and research surrounding respiratory diseases such as pleural mesothelioma. Each expo features experts from a variety of lung health-related fields and gives patients, caregivers and the local medical community an opportunity to connect. Representatives from The Mesothelioma Center at Asbestos.com will be in attendance for the LUNG FORCE Expo in Orlando, Florida, on Nov. 10. You can search for expos in your area on the American Lung Association website. On Nov. 11, LUNG FORCE will host a benefit gala at TPepin’s Hospitality Centre in Tampa, Florida. This black-tie optional event features a gourmet dinner, live and silent auctions, a celebrity tango dance competition and a professional dance exhibition with dancers from Dance Excellence. LUNG FORCE holds nationwide benefit walks and runs throughout the year. All have the same goal — running and walking together to raise awareness and funds to defeat lung cancer. You can form your own team with friends or co-workers, or participate as an individual. And if there’s not an event in your area, you can participate and raise money virtually. Representatives from The Mesothelioma Center at Asbestos.com take part in the LUNG FORCE Run/Walk in Orlando each year. LUNGevity, another prominent lung cancer-focused nonprofit, has the nation’s largest network of local events for lung cancer fundraising and awareness. At the forefront is the organization’s Breathe Deep series, happening throughout November in cities across the country. The 5K walks and fun runs aren’t just fundraising events; they give cancer survivors and caregivers the opportunity to connect in a fun and active environment. Money raised at the events helps to change outcomes for lung cancer patients through research, education and support. This annual LUNGevity event is an evening of fundraising, hope, progress and inspiration. The goal is simple: Create a world in which no one dies of lung cancer. This year’s gala will be held at the Andrew W. Mellon Auditorium in Washington, D.C.
Never underestimate the power of laughter. LUNGevity will host LOL – Laugh Out Lung Cancer on May 10, 2018, at The Second City, Chicago’s beloved comedy club. Following a pre-show reception, the 90-minute “Legendary Laughs” will feature some of the best comedians The Second City has to offer. The event will also feature some of the club’s all-time favorite scenes and songs pulled from its vast comedy vault paired with plenty of its world-famous improv. The Lung Cancer Research Foundation’s Free To Breathe event series brings running and walking events to cities across the country. The events vary in distance, but all have the same goal: Building awareness and funding vital research programs dedicated to doubling lung cancer survival by 2022. Founded in 2005, the Lung Cancer Research Foundation supports research through its Scientific Grant Program. The organization merged with Free To Breathe — previously a separate lung cancer research foundation — on Sept. 30, 2017, retaining the Lung Cancer Research Foundation name. Lung cancer accounts for roughly 27 percent of all cancer deaths in the U.S.
Each year, more people die of lung cancer than colon, breast and prostate cancers combined. Although mesothelioma is not as widely diagnosed, the cancer is equally deadly, with no definitive cure and a poor prognosis. Because the standards of care for the two cancers are similar, funding for lung cancer research can have direct and lasting implications for the future of mesothelioma treatment and the search for a cure. The Lung Cancer Alliance and the International Association for the Study of Lung Cancer offer invaluable information and resources about lung cancer and other respiratory diseases.